Scattered thunderstorms during the evening. Cloudy skies after midnight. Low 57F. Winds light and variable. Chance of rain 50%.. Scattered thunderstorms during the evening. Cloudy skies after midnight. Low 57F. Winds light and variable. Chance of rain 50%. Richmond police arrested a man on 12 charges early Monday morning after he allegedly fled a non-injury collision Thursday morning. On Thursday, officers were called to Lexington Road because of the collision, and when they arrived, they learned the driver fled the scene, according to a citation. Officers then learned the vehicle involved in the incident had recently been stolen from South Keeneland Drive. Officers searched the vehicle and found the names of people that the vehicle's owner didn't know, the citation states. During an investigation, multiple people approached officers to say someone had stolen items out of their vehicle during the night in the area of North and South Keeneland drives. Several of the items found in the vehicle at the scene belonged to one of those who said items were taken from their vehicle overnight. There was also a firearm found in the vehicle that didn't belong to the owner, the citation states, along with an ID belonging to Jason Carpenter, 26, Mahaffey Drive, Richmond. Officers also recovered numerous credit and debit cards with different people's names on them and four needles, one of which was loaded with suspected heroin. Officers also reviewed surveillance video from a business near where the crash occurred, and they saw a person fleeing the scene, the citation states. They also spoke with a witness who described the suspect as a white male who told them he was looking for his gun before running away. Other witnesses told police they saw Carpenter sitting in the stolen at another nearby business on North Keeneland Drive before the incident, the citation states. That business is also where the owner of the vehicle works, and several employees including the vehicle's owner confronted Carpenter in the business's parking lot before he sped away. According to witnesses, Carpenter put the vehicle in reverse, sped to get away and then struck another vehicle, the citation states. Carpenter was arrested at the Richmond Police Department and was taken to the Madison County Detention Center, where he remained Monday afternoon, according to online jail records. 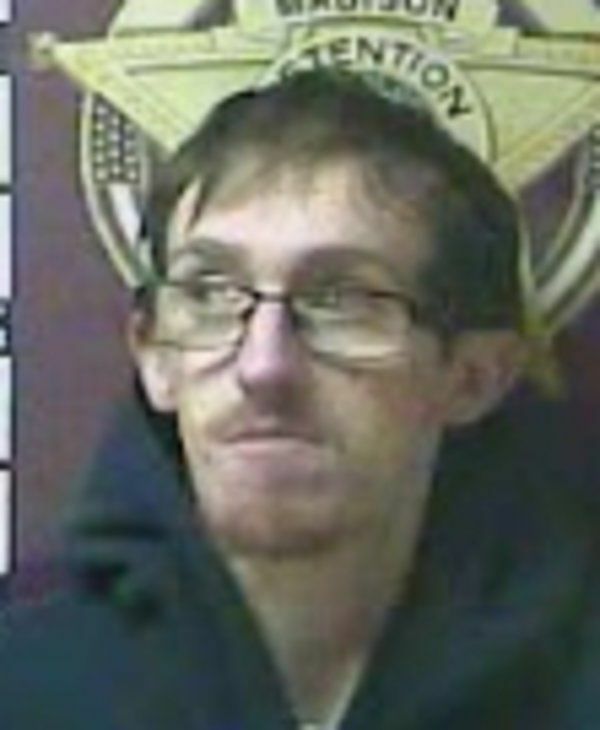 He is charged with two counts of first-degree criminal mischief, three counts of first-degree wanton endangerment, theft by unlawful taking (auto, $500 or more, but less than $10,000), receiving stolen property (less than $500), buying/possessing drug paraphernalia, first-degree controlled substance possession (heroin), leaving the scene of an accident (failure to render aid or assistance), possession of a firearm by a convicted felon and operating on a suspended or revoked license. Madison County deputies arrested Samuel Hill, 28, West Irvine Street, Richmond, on a Madison County indictment warrant Friday evening. The warrant, which was signed by a judge on Oct. 31, 2016, charges Hill with 28 counts of first-degree criminal possession of a forged instrument, buying/possessing paraphernalia and tampering with physical evidence. Hill was taken to the MCDC, where he remained Monday afternoon, according to online jail records. 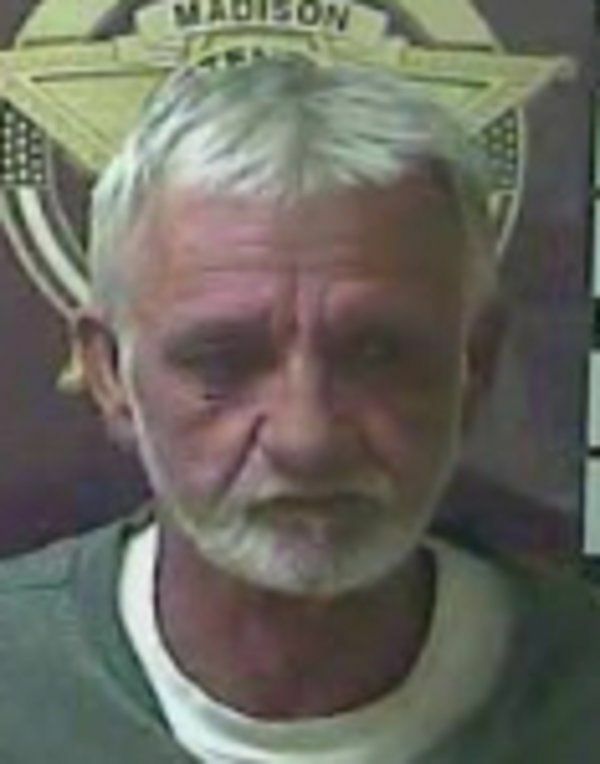 Madison County deputies arrested James Brock, 58, Crab Orchard, on an Anderson County warrant Friday night that charges him with fourth-degree assault (domestic violence), first-degree wanton endangerment and violation of a Kentucky EPO/DVO. According to the warrant, on Feb. 23, Brock entered the home of someone who had an active domestic violence order with Brock. While at the home, Brock kicked the victim in their back and head. Brock then took the victim's firearm and shot it in the air outside the home and fired another shot in the victim's direction. Brook was arrested on West Irvine Street, and he was also arrested on warrant charges for bail jumping and failure to appear. He was taken to the MCDC, where he remained Monday afternoon, according to online jail records. Berea police arrested Joshua Agee, 37, Louisville, Friday evening for disregarding a stop sign, first-degree fleeing or evading police (motor vehicle), first-degree fleeing or evading police (on foot), tampering with physical evidence, reckless driving, failure to or improper passing, first-degree controlled substance trafficking (methamphetamine), no registration plates, operating on a suspended or revoked license and failure to maintain required insurance after officers saw him driving on Brookgreen Drive and disregarding a stop sign at the intersection with Shortline Pike. Officers noticed Agee also didn't use a turn signal, though he turned left onto Shortline Pike, according to a citation. Officers turned on their lights and sirens for a traffic stop, but Agee accelerated and passed another vehicle at a higher speed than 80 mph, crossing the double center line. Police continued to pursue Agee for about one mile, and he passed anther vehicle, failed to give another turn signal as he turned onto Johnson Road and struck a ditch line, causing the vehicle to stop, the citation states. Agee then exited the vehicle and fled on foot for about 500 feet. Officers then arrested Agee, and a baggy of suspected methamphetamine fell from his plants, according to the citation. It weighed about 9 grams. Additionally, officers learned Agee had a suspended license and the registration on the vehicle was canceled. Agee also couldn't provide proof of insurance. Agee was taken to the MCDC, where he remained Monday afternoon, according to online jail records. Richmond police arrested Amanda Brewer, 35, Berea Road, Richmond, for third or subsequent offense first-degree controlled substance possession (methamphetamine), first-degree promoting contraband and buying/possessing drug paraphernalia after she had already been arrested Monday for an unrelated warrant. As she was being booked into the MCDC on the warrant charge, deputy jailers found a baggie with suspected methamphetamine during a strip search, according to a citation. Brewer told officers she picked up the baggie from the floor. Officers also searched Brewer's purse and found a black bag, which Brewer said she also picked up off the ground and mistook it for her makeup bag, which police also found in her purse, the citation states. Inside the bag, officers found a scale with residue on it, several syringes and more baggies. Brewer remained in jail Monday afternoon, according to online jail records. Madison County deputies arrested Brittany Lucas, 20, Winchester, for theft by unlawful taking ($500 or more, but less than $10,000) after deputies were called to Bethlehem Road in response to a theft complaint Friday morning. Deputies arrived and spoke with the victim, who said they had an overnight guest for the past two days and was missing some jewelry, according to a citation. The victim said the guest was Lucas, who was asked to wait for police in a deputy's vehicle. When deputies returned to the vehicle, Lucas was holding a piece of paper with three rings and two bracelets, all of which she said weren't hers, the citation states. She said she didn't know how it got in her handbag. Lucas was taken to the MCDC. She was released Friday afternoon, according to online jail records.